German artist Kurt Schwitters (1887–1948) is best known for his pioneering work in fusing collage and abstraction, the two most transformative innovations of twentieth-century art. Considered the father of installation art, Schwitters was also a theorist, a Dadaist, and a writer whose influence extends from Robert Rauschenberg and Eva Hesse to Thomas Hirschhorn. But while his early experiments in collage and installation from the interwar period have garnered much critical acclaim, his later work has generally been ignored. In the first book to fill this gap, Megan R. Luke tells the fascinating, even moving story of the work produced by the aging, isolated artist under the Nazi regime and during his years in exile. Combining new biographical material with archival research, Luke surveys Schwitters’s experiments in shaping space and the development of his Merzbau, describing his haphazard studios in Scandinavia and the United Kingdom and the smaller, quieter pieces he created there. She makes a case for the enormous relevance of Schwitters’s aesthetic concerns to contemporary artists, arguing that his later work provides a guide to new narratives about modernism in the visual arts. These pieces, she shows, were born of artistic exchange and shaped by his rootless life after exile, and they offer a new way of thinking about the history of art that privileges itinerancy over identity and the critical power of humorous inversion over unambiguous communication. 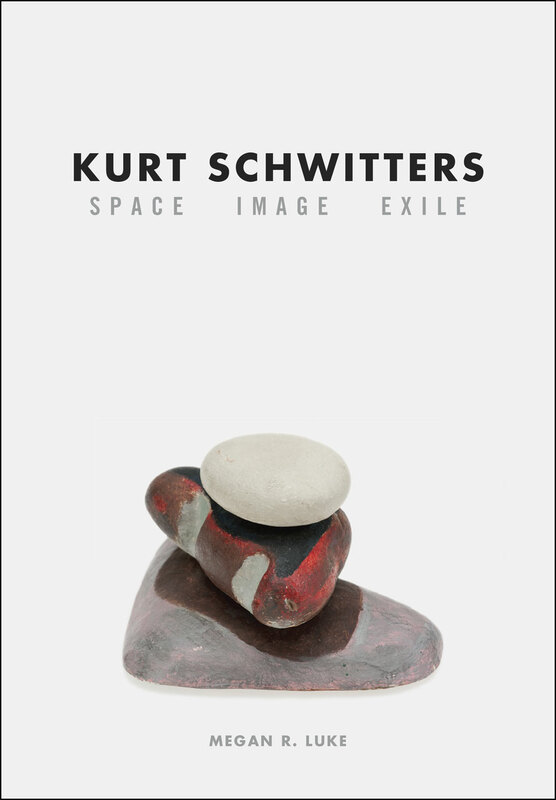 Packed with images, Kurt Schwitters completes the narrative of an artist who remains a considerable force today.